It's been a while since my last blog post (well over a year in fact!) but I'm back in Nepal so it's time once again to keep you all updated with what's going on in this amazing country. 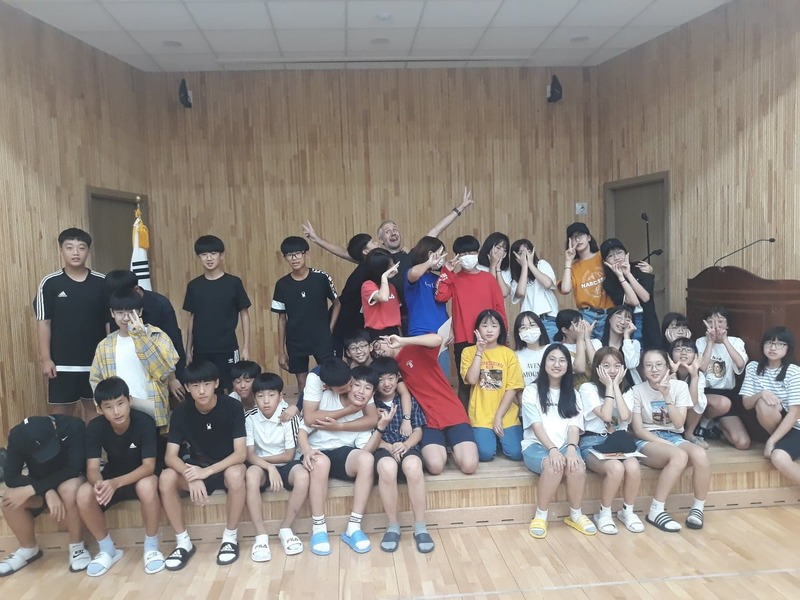 Since my last stint in Nepal, I've spent a couple of months in the UK and a year teaching in South Korea. 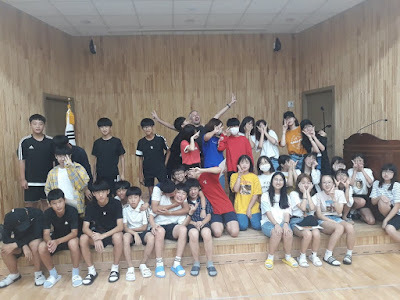 My Korean year was spent in an English Center where I gained some wonderful experience and have developed (and stolen!) a load of lesson ideas to adapt and use here in Nepal. I arrived back in Nepal this week and have already got to work with Saran and Sagar making our next action plans and meeting various people. We're aiming to open the new Steve Sinnott Foundation Learning Resource Center (SSF LRC) in early 2019 but there is a lot of work to do before that can happen, so there are some busy months ahead! 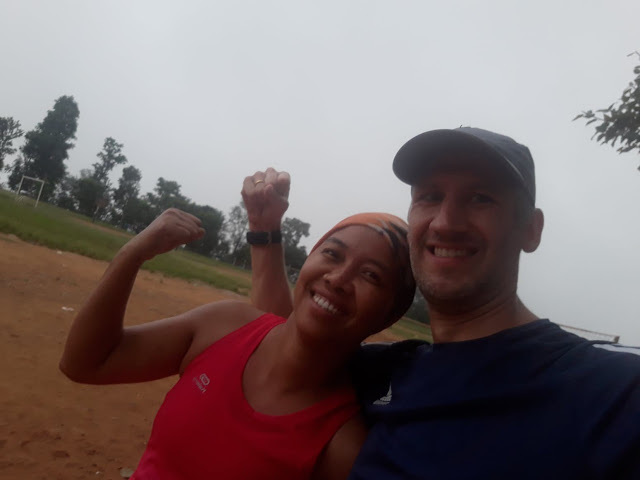 I dragged my wife out for a morning run, but it will be a while before she is joining more for any ultra-marathons. No! Of course, before meeting Saran and Sagar I saw my wife, for the first time in over a year! I wanted to give her a surprise, so she wasn't expecting me to arrive in Kathmandu until 26th August, where she was planning to meet me. It came as quite a shock to her when I knocked on the door at 7am a week early, with her confusion made much worse by the fact that she was still fast asleep when I woke her up. I'd love to include a photo of that moment, but I don't think the next 6 months of my life would be worth living if I did. 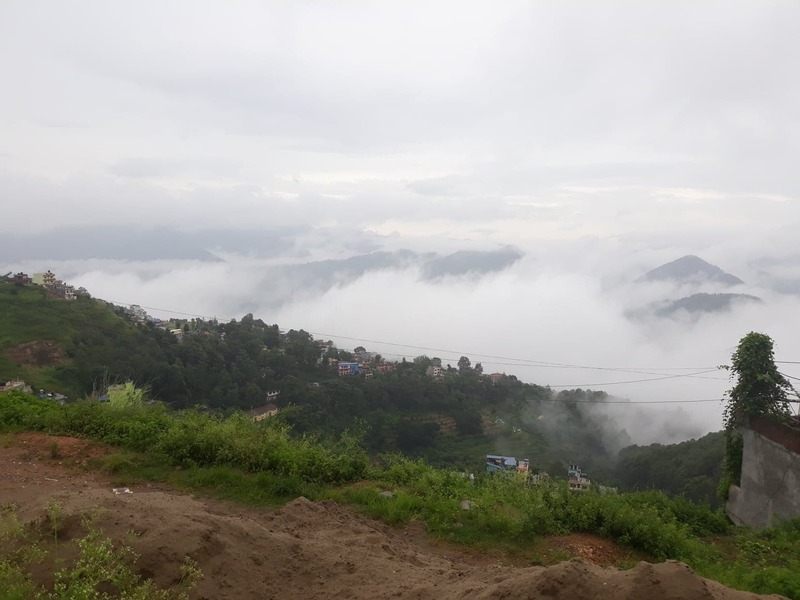 Apart from spending time with my wife again, I've been out running in Tansen. 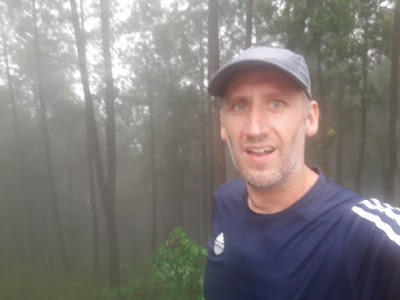 It's still Monsoon season so it's pretty muddy in places and dangerously slippery sometimes but it feels great to pull my trainers and hit the hills and trails here (admittedly, coming down the hills feels a lot better than going up them). I'll be running in a 50km trail race in the Nepali Himalayas in October to help raise funds for the new LRC and as part of Manisha UK's Everest Challenge. I'll be posting details of how you can support me soon, and if you want to get involved yourself please check the details on our website at http://www.manisha-uk.org/everest. Don't worry, you don't have to run 50km, although I'd love some company if anyone does want to join me! The view is good now but will be even better in winter when the cloud clears.